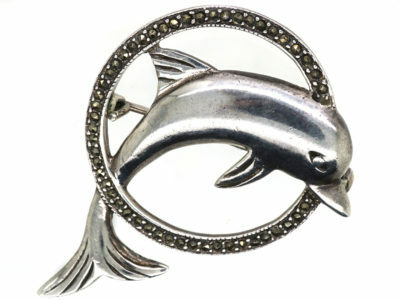 An well modelled silver brooch of a dolphin jumping through a hoop. 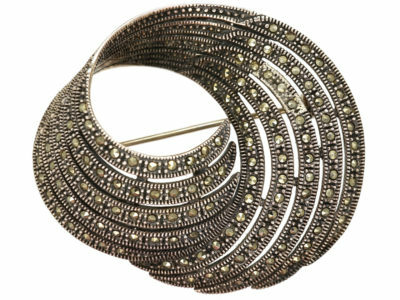 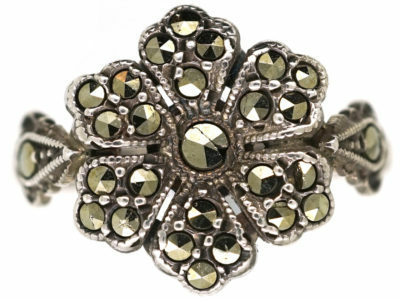 The hoop is studded with marcasite (iron pyrites) so it glitters like black diamonds. 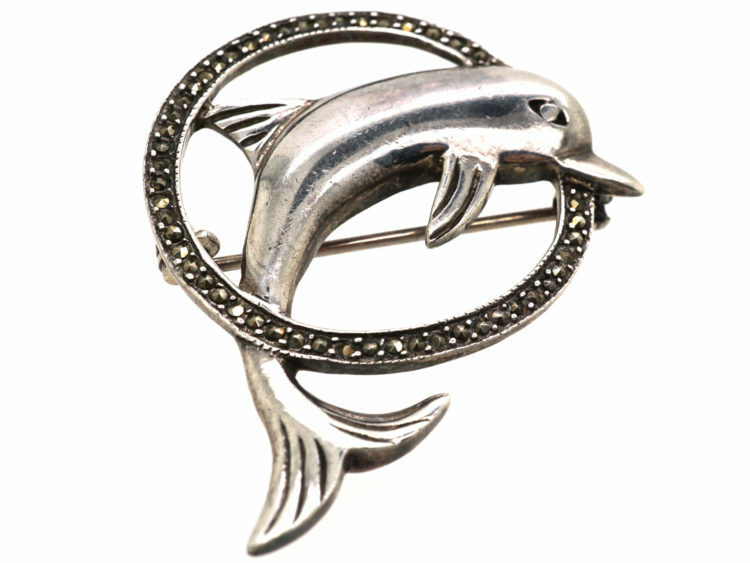 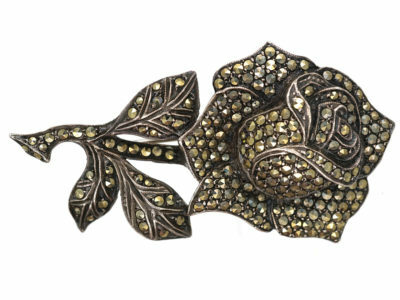 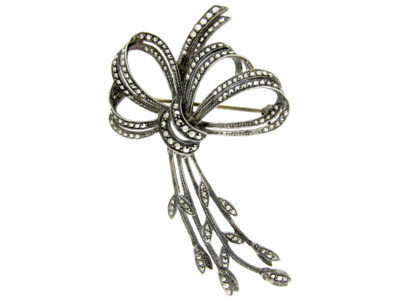 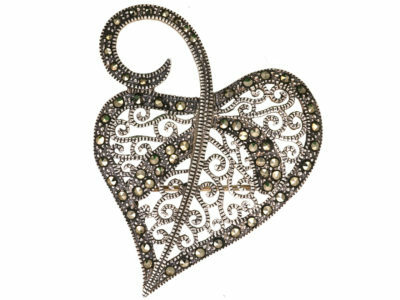 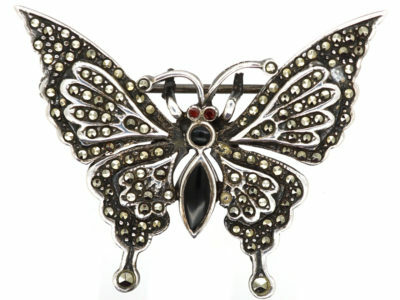 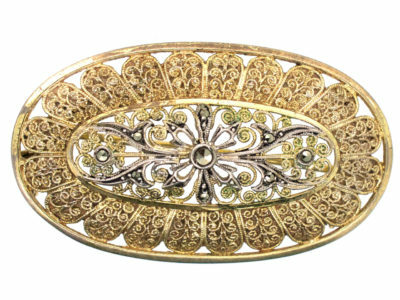 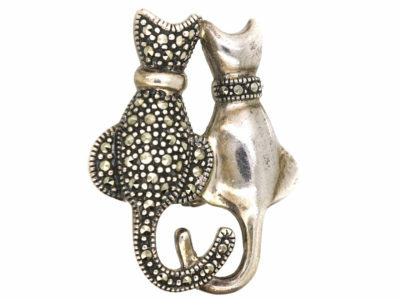 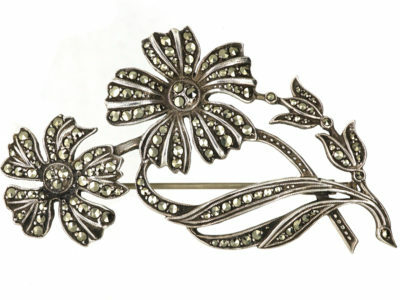 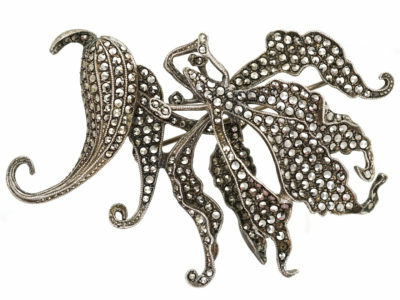 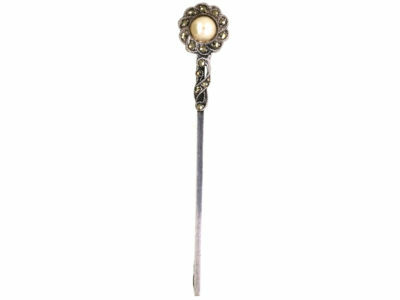 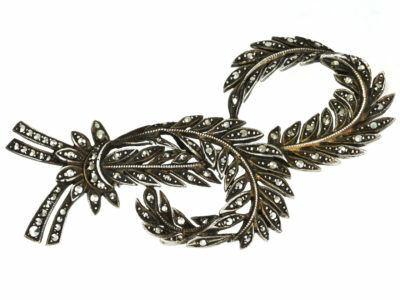 It would be very eye catching when worn on a lapel.